A two-mile stretch of Southern California coastline has been renamed “Whale Beach” by the operator of a whale-watching business who’s reporting an unusually high number of gray whale moms and calves stopping to rest and play in the area’s tranquil coves. 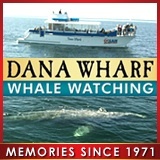 Donna Kalez, general manager of Dana Wharf Whale Watching, says that during the past few weeks her captains have logged more than 40 sightings of gray whale cow-calf pairs in the shallow coves of Laguna Beach. That’s well above average, Kalez says, but what’s really unusual are the number of close encounters with swimmers. With unseasonably warm weather, more people are visiting the beach, and when whales emerge just a few yards from the sand, many can’t resist swimming out for a more personal experience–which is a rare opportunity and sounds like fun, but it’s not in the best interest of public safety. But this was just one of many instances. Swimmers also have pursued the whales, while wearing snorkeling gear and GoPro cameras, and Kalez’s captains have reported some cases in which swimmers have spooked the mothers. Also, in some cases, swimmers have been kept out of the water by lifeguards. Spooking whales, or altering their behavior in any way, is a violation of the Marine Mammal Protection Act, punishable by fines and/or jail time. Plus, said NOAA marine mammal specialist Monica DeAngelis, it’s dangerous for swimmers to approach powerful, unpredictable cetaceans that can measure to 50 feet and weigh 40 tons. “From my perspective we wouldn’t want to encourage people getting in the water, especially with a mom and calf,” DeAngelis said. “Gray whales were nicknamed devil fish mainly because of the reactions mothers had when whalers came in and went after the babies. About 24,000 Pacific gray whales are migrating from Baja California nursing grounds to Arctic home waters. Most have already passed Southern California. Bringing up the rear, as usual, are the mothers and calves. Brennan said that the whale pairs turn right toward the coast after passing the Dana Point headland, and settle mostly into coves with rocky cliffs. But most of the encounters involving swimmers have occurred at Aliso Beach, which is sandy and popular with swimmers. This is where the photo opportunities are best, for those aboard boats and on the beach–and in some cases, in the ocean. Lasting memories, for sure, but the whales have a long journey ahead of them, and as they get farther up the California coast they must deal with predatory killer whales, which like to feed on gray whale babies. Perhaps this is why cow-calf pairs are hugging the coast and resting in coves, and perhaps this is the best reason of all for swimmers to leave them alone. El turismo estará encantado de poder ver una cala con un espectaculo natural cuidado,es envidiable,y sus residentes deben estar felices por tener su playa de ballenas para las visitas.